Zielies Tree Service is ready and equipped to respond to any storm related outage - Any time, day or night. 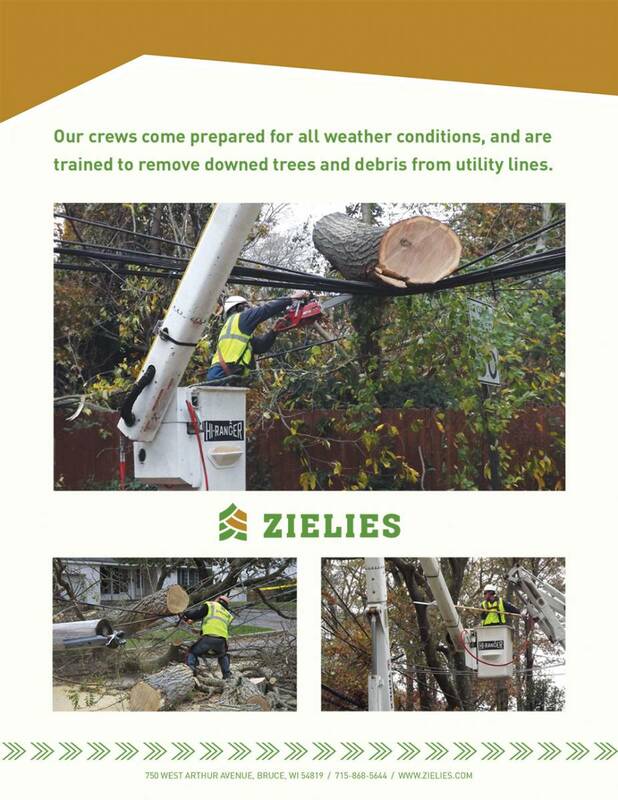 Zielies Tree Service is ready and equipped to respond to any storm related outage at any time – day or night. Working with utility providers Zielies is able to safety clear the line and allow for the utility provider to restore power. During some major national storm crisis, Zielies has been able to mobilize a response team to aid in restoring power. 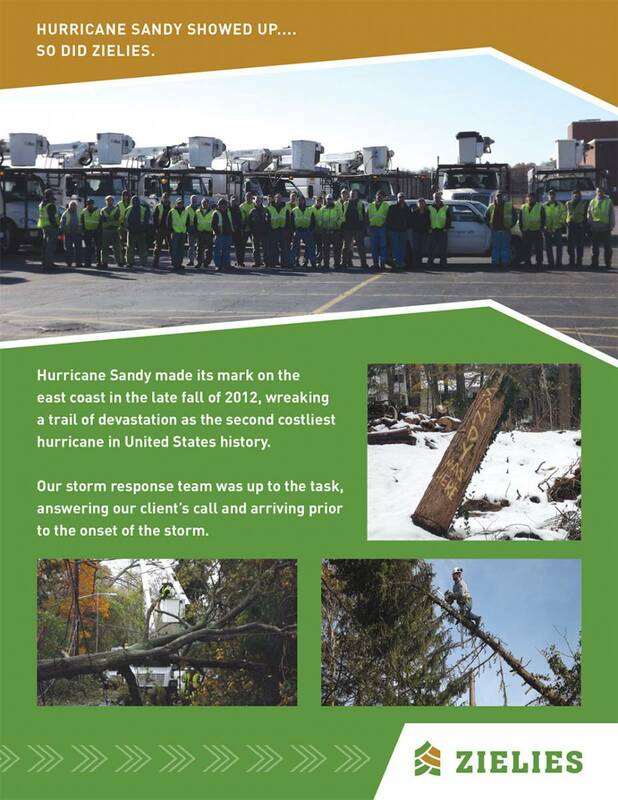 In November 2012 Zielies provided support to National Grid following the destruction left by Hurricane Sandy. In September of 2008, Zielies responded to help with storm restoration services in Galveston, Texas after Hurricane Ike caused the largest power outage in Texas history. With our crews support these utility providers were able to begin restoring power to the affected areas.